Home Unlock ZTE How to unlock ZTE MF195? How to unlock ZTE MF195? Unlock Code or NCK of ZTE MF195 is available. We can provide the factory unlock code all ZTE devices. Means, if your ZTE MF195 modem is asking for SIMLock code after changing the SIM card then it can be easily unlocked. 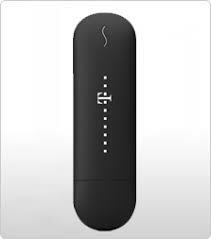 Once the dongle is unlocked, you can the default SIM card as well as other network provider SIM cards also. Unlocking is one-time work, but you can use it all time. You may get MF195 locked to a particular network of a country and without unlocking you can not use it with other carrier SIM cards. 3. Let it install the drivers and software which is required to run the ZTE MF195. 8. Once the code is accepted by ZTE MF195, it will be unlocked forever to use with all SIM cards. Previous articleHow to unlock ZTE 522? Next articleHow to unlock ZTE MF667?